Unique take on popular topics, useful resources and financial advice by renowned writers, specialized experts and experienced bloggers. If you love fashion, you know that you’re never done buying new clothes. Your wardrobe is never complete, and the next piece of ready-to-wear that you must have probably hasn’t even been designed yet. Your friends know that you have a great sense of personal style, and they often come to you for fashion advice. You’ve helped pick out wedding dresses and prom dresses, and you’ve dressed many of your friends for various first dates and job interviews. You have new styles and trends to keep up on and new designer collections to peruse. You are, indeed, a true fashionista. The problem is that it costs a pretty penny to look so fashion forward. High fashion is notoriously expensive, and to make matters worse, clothing by high-end fashion designers rarely goes on sale. Chanel dresses cost several thousand dollars, and garments from Vera Wang, Alexander Wang, Alexander McQueen, and so many other well-known fashion designers can cost as much as a full month’s grocery budget. Even if you stick to more consumer-oriented brands like Burberry, Prada, and Ralph Lauren, you’re still looking at substantial sums for your couture collection. How can you be a fashionista without spending your entire salary on your wardrobe? Read on for some helpful tips. Unless you’re a millionaire, you simply can’t own a full wardrobe of expensive designer clothes. Therefore, you’ve got to prioritize your purchases and seriously consider what you want to add to your collection. Versatile items, like a simple and elegant black jacket, are typically much better purchases than overly embellished pieces that you’ll be able to coordinate with only a few things. Also, it’s wise to look for pieces that offer a classic and understated look. Wearing all the latest trends is certainly fun, but the problem with trends is that they can look very outdated very quickly. Choose pieces that will last you at least a year or two. Outlet stores are well known for their low prices on last season’s styles, factory seconds, and assorted odds and ends. If you’re serious about saving big money on new clothes, outlet stores are where you want to shop. Many luxury brands like Coach, Armani, Salvatore Ferragamo, Dolce & Gabbanna, and others have their own stores at big outlet malls. You may not find exactly the piece of clothing or pair of shoes you’ve had your eye on, but you will find low prices and a fairly decent selection. Also, remember that many high end department stores have outlets where you can score great deals on top designers’ clothes. Two great examples are Nordstrom Rack and Saks Off 5th. Plus, may department outlet stores have websites where you can also get great discounts. For example, if you hit saksoff5th.com on the right day, you could find a Stella McCartney cotton-silk print dress with an MSRP of $1630 for $629 — a full $1000 off. Add a coupon code, and you could save even more. Smart shoppers also know that Marshall’s and TJ Maxx are great places to look for big name fashion for small prices. You need a bit of patience when shopping at these stores, as you never know what you’ll find. However, frequent visits could pay off in amazing designer clothes at a serious discount. If you don’t live in or near New York or another major city, you may have never heard of sample sales. These are sales that designers and sometimes stores have in order to liquidate extra merchandise. These are really a win-win for everyone involved: stores get to clear out everything that hasn’t sold and make some money while doing it, and consumers can get otherwise expensive clothing and accessories for a lot less than retail. Bridal shops and wedding gown designers typically have one or two sample sales a year, so if you’re in the market for a high fashion wedding gown, sample sales are where you want to shop. The difficult thing about sample sales is finding them. They’re not always advertised very well, so you’ll want to follow your favorite designers on social media, check your local newspaper for ads, and watch for pop-up sample sales in your town. Or, if you live in or near New York City, blogs like Sample Sally keep a running list of what sample sales are happening where and what you can buy at them. Like discount retailers and outlets, sample sales require a great deal of patience and flexibility on your part. You truly never know what you’ll find and what sizes will be available. However, if you go in with an open mind, you may come out with a bag full of great deals. Like used cars and second hand furniture, buying pre-owned clothes and accessories can save you a bundle. If you decide to go this route, there are a few things you can try. First is visiting thrift and resale shops. You have to be in the mood for a good hunt, but if you find treasure in the form of a brand name garment or handbag for an absurdly low price, it will all be worth it. Luxury consignment services are also great for finding previously owned pieces. They’ll often be in pristine condition, and you will save some money off the new price, but you definitely won’t get a bargain. Finally, the old standby of used everything: ebay! This is probably where you’ll find the best selection of high end fashion. As with luxury consignment shops, it’s not likely that you’ll get a tremendous bargain, but you can certainly save some money. Plus, many luxury consignment resellers have listings on ebay. For example, Crave Luxury Consignment has an ebay storefront with loads of big name fashion items. As with other sellers, their prices are definitely higher than what a thrift store might charge, but they are considerably lower than the MSRPs on new pieces. If you’ve ever gone with your boyfriend or husband to rent a tuxedo and found yourself wishing that you could rent the fashionable clothes (and shoes, and purses) that you love, there’s great news: you can! While some big-city stores have been running fashion rental services for a while, there are now a number of websites through which you can rent the item you’d like and return it when you’re done. It’s a great way to keep yourself fresh and fashionable without spending your entire paycheck on clothes or filling your closet with tired trends. There are a few sites you can visit to fulfill your fashion rental desires. Rent the Runway has dresses and gowns by top designers like Nicole Miller, Badgley Mischka, Vera Want, Lilly Pulitzer, and more. Lending Luxury also has great dresses for rent for just about any occasion, from fun and casual parties to elegant black tie affairs. If you’re looking for just a designer handbag, perhaps from Louis Vuitton, Tory Burch, Prada, or Gucci, Bag Borrow or Steal has you covered. In the UK, Girl Meets Dress has designer clothing for rent, and they even let you try on up to three to decide which one you like best. It’s no secret that there are thousands of discount coupons for online shopping circulated and aggregated. Before you click the purchase button for any online retailer, check to see if you can find and apply any discount codes. These can be found on RetailMeNot, GoodSearch and here at CouponLawn. Sometimes, though, you don’t have to even look for coupon codes — they’re right there on the website’s landing page. The catch with those is that you actually have to enter them when you check out. It’s easy to forget, so see if you can enter codes before you shop. Want to be alerted when a top fashion item you’re coveting goes on sale? As the tagline goes, there’s an app for that. In fact, there are a lot of apps for that! TikTakTo shows users a live feed of the day’s best deals, while Tophatter lets you bid on ebay-style auctions for fashion and accessories. ShopSavvy shows you the lowest price of an item in your area, and anecdotal evidence suggests that if you show a retailer a lower price on your phone with the ShopSavvy app, the lower price will be honored. Shopular is an app that sends you deals and discounts when you’re near a store that will honor them. It works by proximity, so it won’t send you a great coupon for a store that’s 50 miles away. To use a Shopular deal, just show your phone at checkout. Finally, the ShopStyle app lets you search over 1,000 retailers to compare prices on either a specific item or a given style. So, you could shop for “black flats,” or you could shop for “Tory Burch black flats.” Either way, you’ll find out what they’re selling for at a number of stores and online retailers. Vera Wang dresses are beautiful, but they also cost quite a bit; a single dress can set you back $1200 or more. What can you do if you love Vera Wang but don’t have that kind of money to spend on one garment? Go to Kohl’s! That’s right — Kohl’s. You’ll find their Simply Vera line, designed by Wang herself but costing considerably less than her original line. A colorful spring dress, for example, costs just over $50. Similarly, top designer Marc Jacobs has a more affordable Marc by Marc Jacobs line, and the clothes in the discount line cost about 80% less than those in the top line. We know: you’re a fashionista. You buy fashion, not imitation fashion. That’s all well and good if you’ve got al the money in the world, but when you’re on a budget and looking to save some money, sometimes corners need to be cut. We’re not saying that you should buy only knockoffs. However, picking and choosing a few well-made and authentic looking imitation pieces can save you some money without causing you to lose face. Whether it’s a lesser brand jacket that looks exactly like one made by a top designer or an imitation Louis Vuitton purse, some knockoffs do look really good. Sure, you’ll know that you’re not wearing or carrying an expensive name-brand piece. Will your friends? Probably not. Remember, being a fashionista is all about looking good. As long as you look the part, it’s highly unlikely that someone will go looking at your actual labels. Wear knockoffs with an air of confidence, and no one will give them a second thought. Once you spend big money on high end fashion, you want it to last you for years to come. With that in mind, there are a few things you can do to keep your clothes looking great. First, clean them properly. The majority of couture pieces require dry cleaning, so make sure you keep up on it. Yes, it can cost a lot, but think of it as an investment in the longevity of your wardrobe. Besides, $!5 to dry clean a dress that cost $1,200 is not all that much in the grand scheme of things. Beyond that, make sure you can do minor repairs yourself or have a reliable tailor who can take care of such issues for you. This includes things like sewing buttons, repairing seams that have opened up, and making other minor adjustments as needed. If you’re a true fashionista, chances are you’ve got some fashionista friends who also have great taste and great style. It’s also likely that you get tired of your wardrove from time to time, and so do your friends. 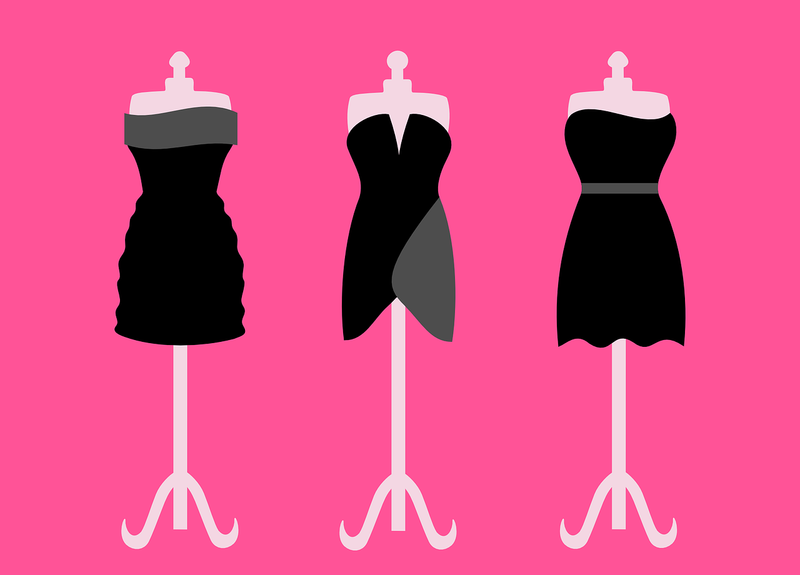 Instead of spending a ton of money on new items, set up a clothing swap with your fashionable friends. To do this, you’ll need to round up a few folks who you trust and who are preferrably the sane size as you are. Then, bring the clothes you’re tired of to the designated place and time, open up the bag, and let your friends choose something new. In return, you can choose from their stash. At the end of the swap, everyone walks out with a few new outfits! 0 Responses to "How To Save Money As A Real Fashionista"